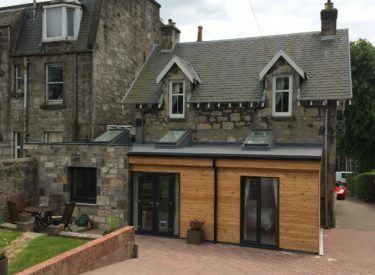 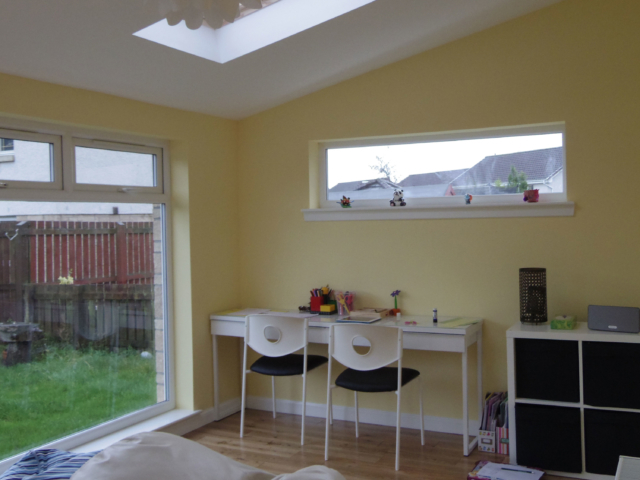 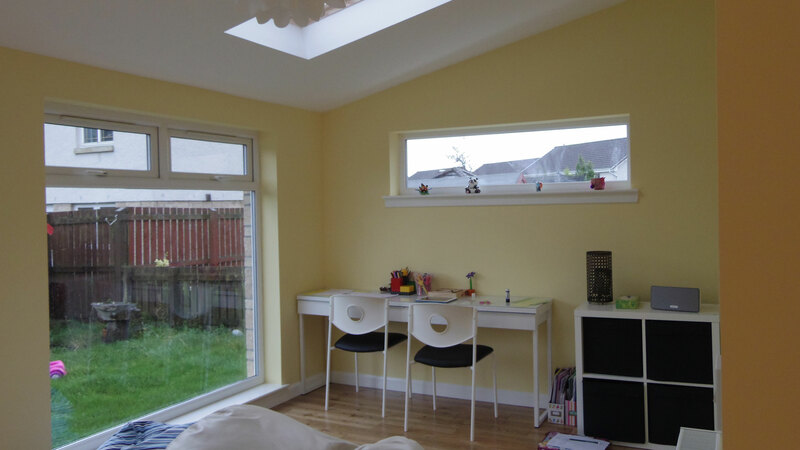 The single storey sunroom house extension – to the rear of a property in Dunfermline’s Duloch Eastern Expansion Area – was added to provide more space for a growing family. 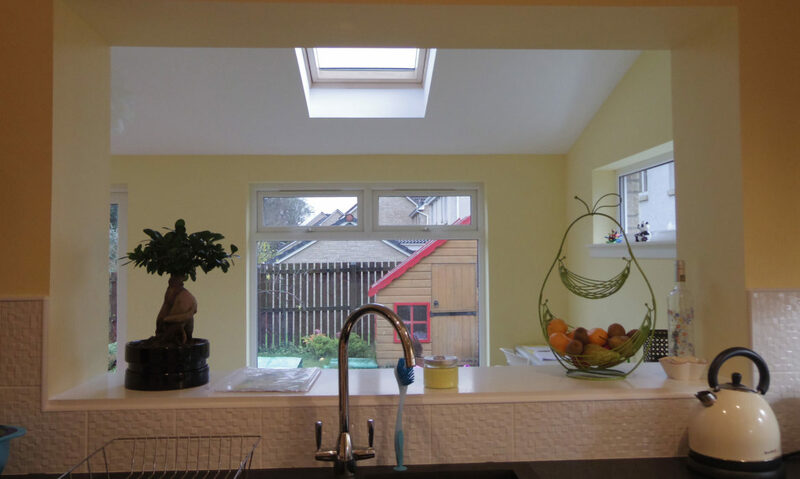 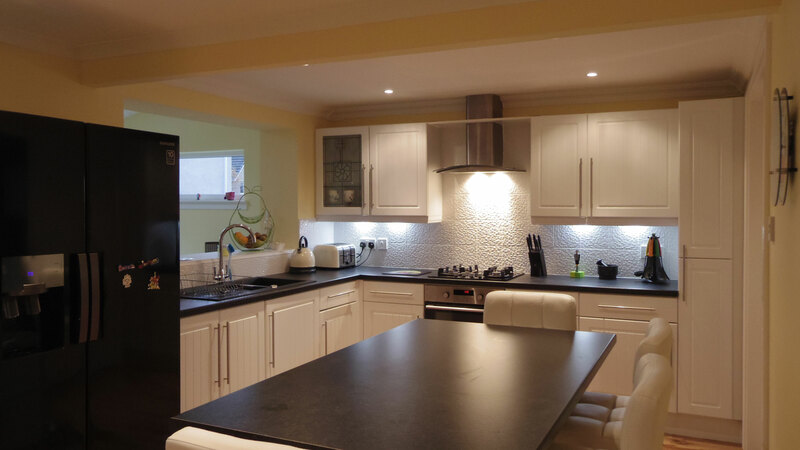 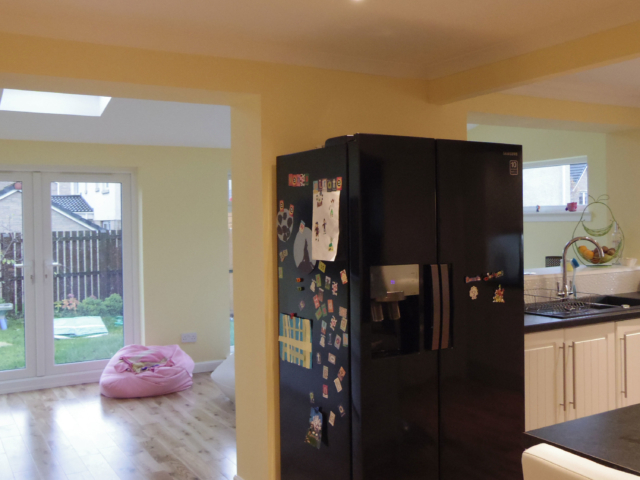 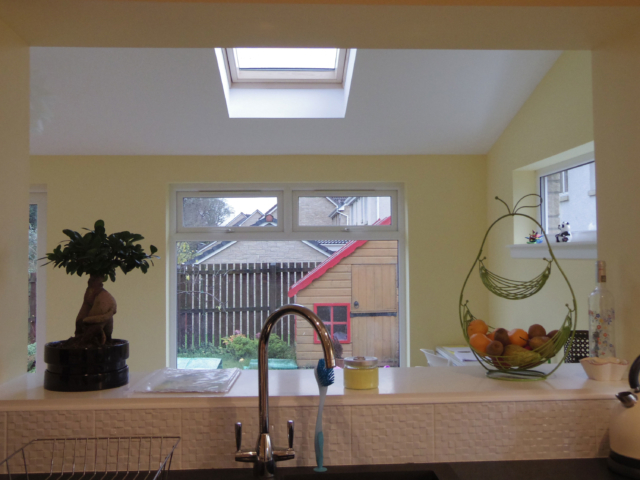 The sunroom house extension increased the existing kitchen, also adding a utility area. It also gave the clients better access and use of the garden space. 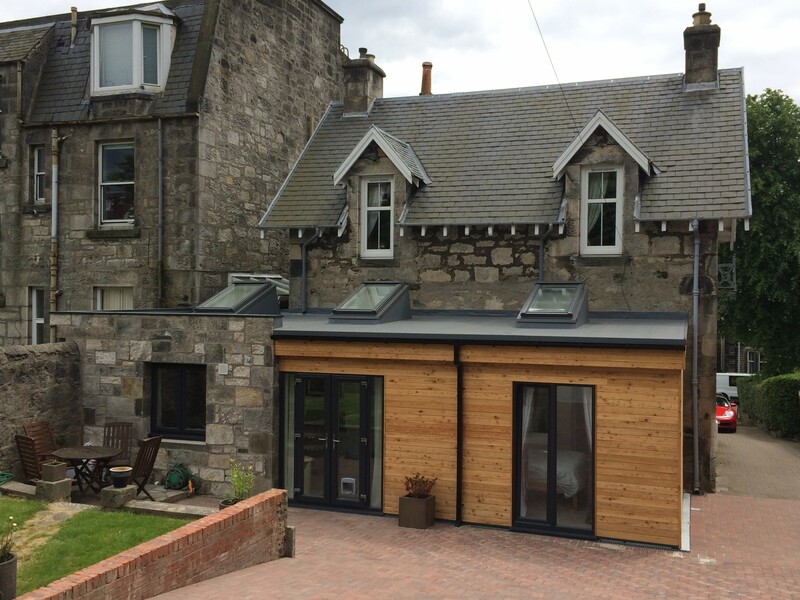 The external finishes of the building were designed to tie in with the existing finishes, stone and tile roofing. 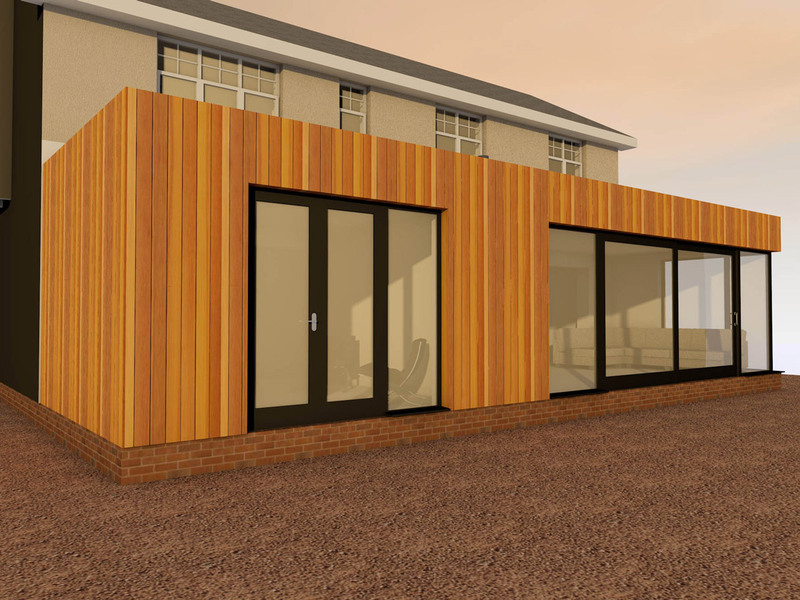 Working with the client, ACA provided a number of design options which were reviewed on the desirability and on estimated construction budget. 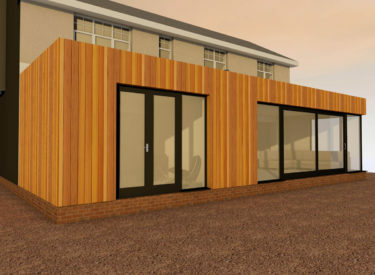 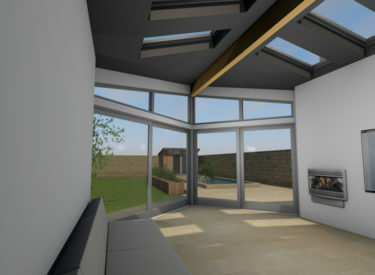 ACA utilised its 3D modelling software, which enabled the client to view the proposed sunroom house extension on their own computer, prior to it being built. 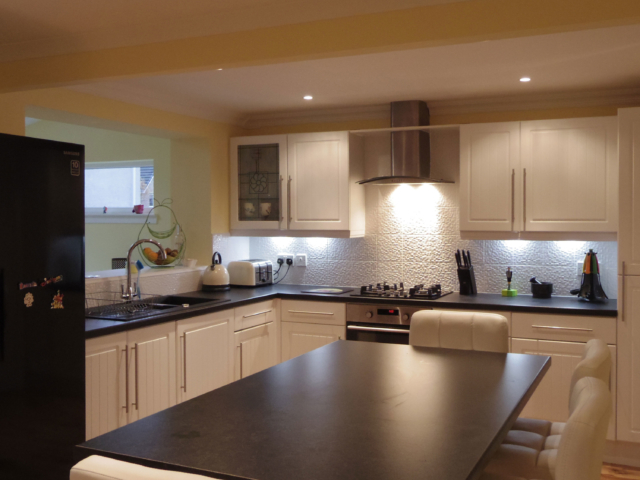 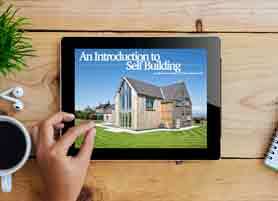 Apple iPads were also given to the client and their family, so they could walk around the extended home on an in-built app. The sunroom house extension was designed in-line with Permitted Development guidelines, this meant that the extension did not require a full planning application – this saved significant time and money. 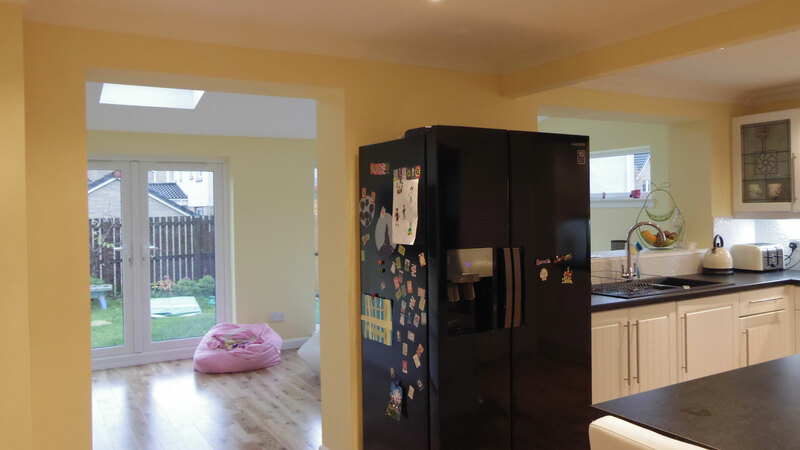 This sunroom house extension project received Planning Approval in early 2014, the Building Warrant was approved in the summer of 2014, and the project was completed by November 2014.